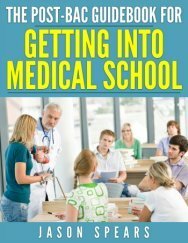 Financing medical school is an aspect which you need to consider while applying to medical school. I have always believed that the educational rewards of medicine far outweigh the cost, so view your education and training as an investment into your future. Please do not let the numbers deter you from applying because there are always sources of money available. 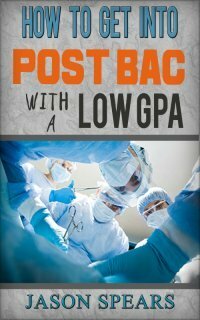 But if you are planning on attending medical school, here are some facts to keep in mind. The median educational debt of medical school graduates is $140,000 and the mean educational debt of medical school graduates is $139,517. Medical school is not cheap, but always remember you have a very rewarding career including a nice salary to repay any debt incurred. Here is a table showing how medical school matriculants plan on financing their education. I have listed the money sources in percentages to put everything into perspective. As you can see the most common way of financing medical school is through the use of loans. But there are ways to reduce the debt which you will incur upon graduation. One way is to volunteer to work in an underserved area for a designated period of time and a large portion of your loan will be forgiven. I have also seen physicians entering into competitive specialties and negotiating compensation packages which have a clause for their new employer to pay off a portion of their debt as well. This page is not meant to provide an exhaustive listing of ways of financing medical school, rather to make you aware of the monetary aspects which you should consider. I will tell you that many of your peers who go into business and law will financially secure sooner than you. They will be purchasing homes, cars and expanding their families while you are living as a minimalist while undergoing medical school. Therefore, I would not even try to compete with others in this area because it will be virtually unless you are independently wealthy. Just remember you have chosen medicine and with delayed gratification the profession will reward you in more ways than you would think possible.